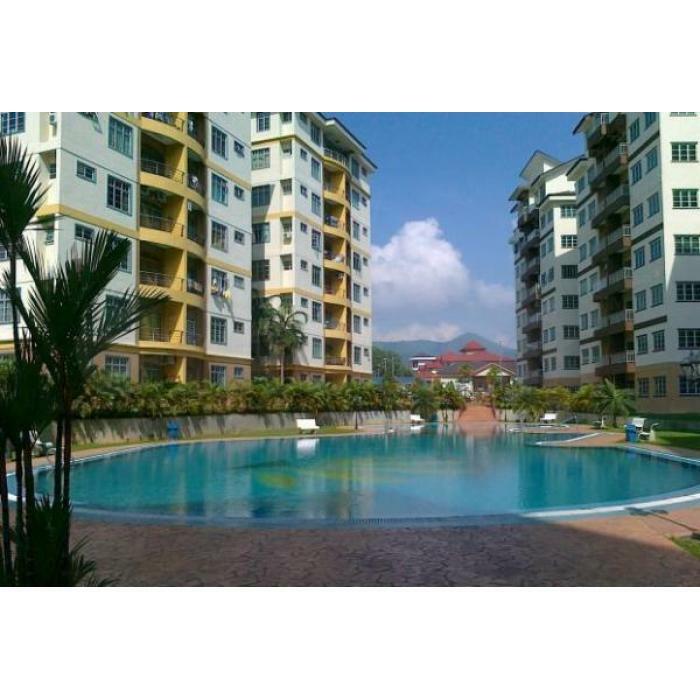 Kings Height Apartment (also known as Meru Impiana Apartment) is located along Jalan Impiana 2 in Taman Meru Impiana, Jelapang, Ipoh, Perak. This is a leasehold 8-storeys apartment and each unit has its own balcony or patio. Residents have access to facilities such as covered parking, landscaped garden, childrens' playground and swimming pool. This property is safeguarded with 24 hours security & lift service access to every floor. International Schools , Hotel & Convention Centre, Carsem Semiconductor at Taman Meru Industrial Estate, the upcoming animation Theme Park and other amenities. Easily accessible via North-South Highway, Ipoh-Lumut Highway, Silibin, Jelapang, Chemor and within easy reach of Ipoh City Centre, Kuala Kangsar Road, Tasek & Bercham via toll free North-South Highway.